Rob Zombie has unleashed a very teasing release for his latest slice on his directing career. You can check out our feelings on Rob’s film career thus far with our career retrospective HERE. 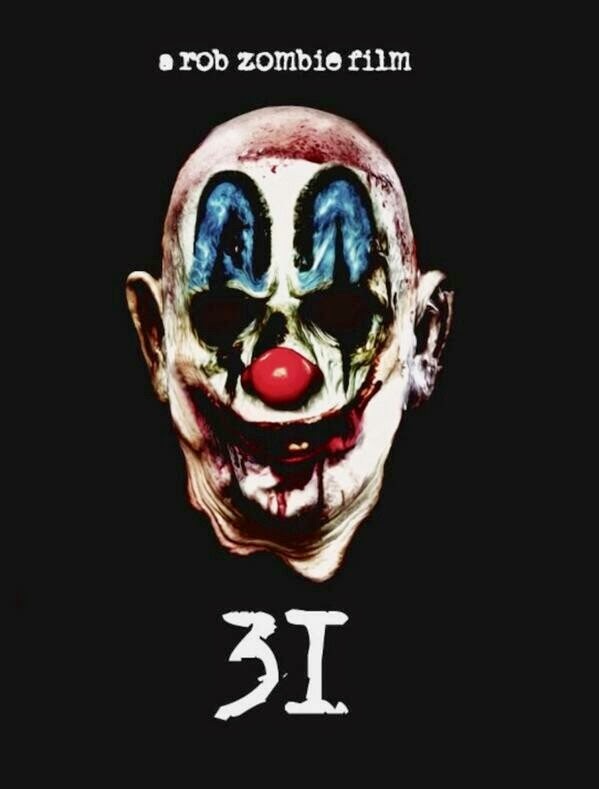 Titled, for now, simply ’31’ and a poster image of a clown mask is the first we will see of Zombie’s latest film. What is ’31’? Could this be a return to the ‘Halloween’ franchise or at least a reference in name and date. After all, the last ‘Halloween 3’ film was minus Michael Myers and we know the production has only recently begun on the sequel to the reimagined series. With Zombie favourite Scout Taylor-Compton already confirmed. Could this be? Say what you like about ‘H2’, it is through and through a great Rob Zombie film, even if it lacked relation to the ‘Halloween’ franchise. There is plenty of speculation and we’re not going to bore you with our excitement bit one thing is certain… We can’t wait! Check out the teaser and poster below courtesy of Bloody Disgusting.